FL Technics, a global provider of integrated aircraft maintenance, repair & overhaul services, has announced signing the contract with Go2Sky for the line maintenance services in Vilnius airport for their Boeing 737NG. Go2Sky will fly on behalf of GetJet who took over Small Planet Airlines contracts. 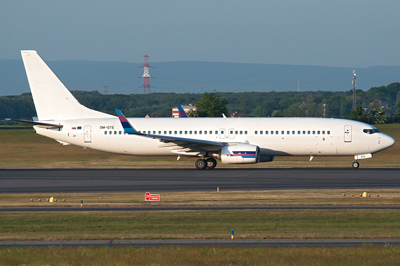 Based at Milan Rastislav Stefanik airport in Bratislava (Slovakia), Go2Sky airline provides a non-scheduled transportation of passengers, cargo and mail as well as offers lease ACMI of their aircraft. FL Technics specializes in Base & Line maintenance, spare parts & component support, engine, APU & LG management, full aircraft engineering, technical training. FL Technics is an EASA Part-145, Part-M, Part-147, Part-21 certified company. FL Technics is a member of the Avia Solutions Group family.